I’m excited to discover a new thai restaurant opened up in the neighborhood. I found it by accident one day while riding home from work. I happened to glance and see the sign. I was a little surprised given this area is known for mainly chinese takeout, fast food and jamaican take out joints. 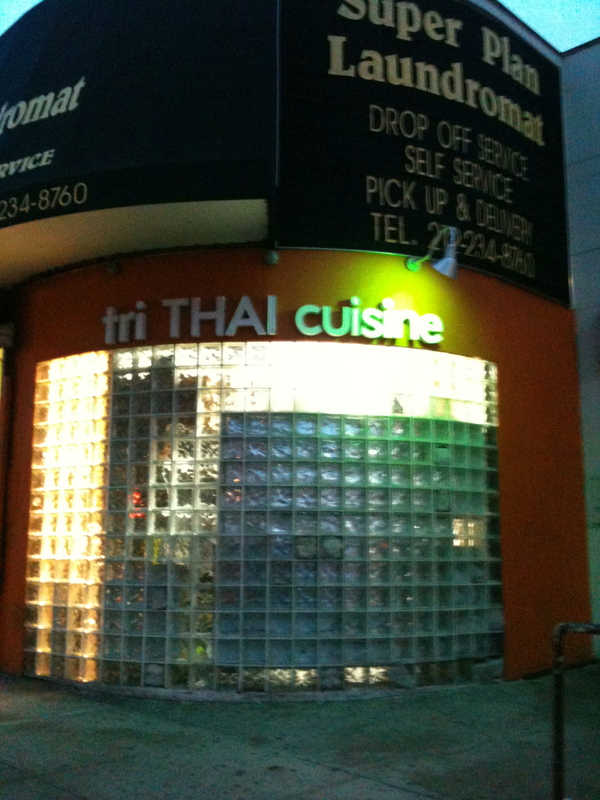 Just as it looks from all the signage on the outside, Tri Thai Cuisine located inside the front of a laundromat. 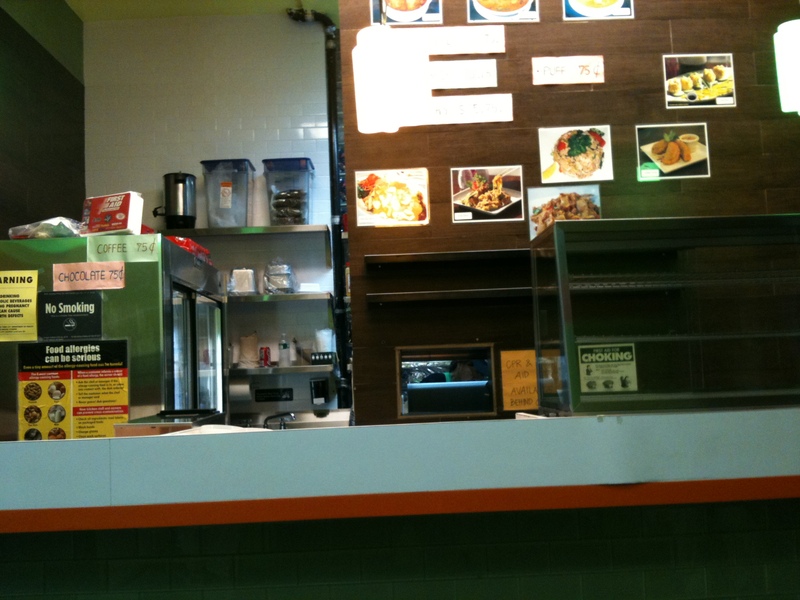 When you walk in, the take out counter is carved out space at the front of the building. To someone not used to hole in the wall style take out spots, the location is a bit off putting but when you consider the only local dining options in this area of harlem is mostly chinese take out, fast food, fried fish & jamaican take out, a thai restaurant is a refreshing alternative. I don’t know why I haven’t heard of it earlier, but according to various sources, it’s been open since late last year. 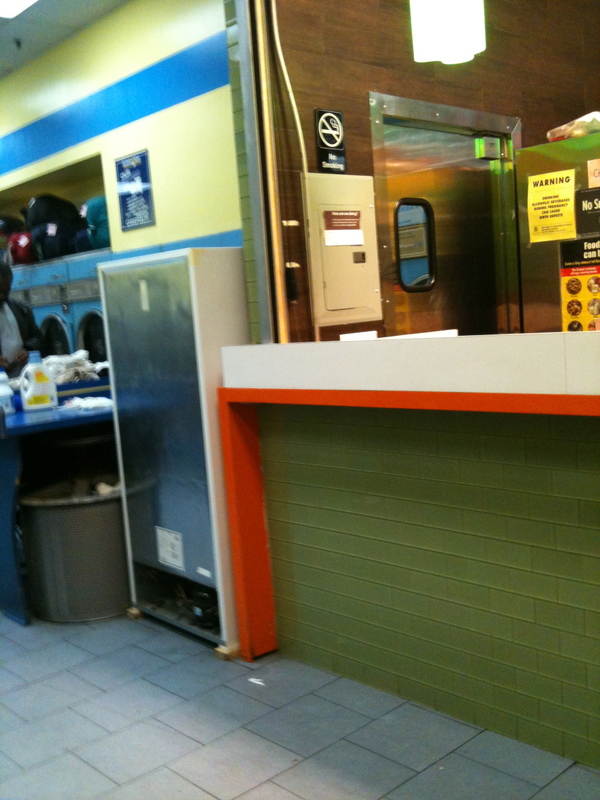 It’s a neat take out counter despite the laundromat in the back. If the sounds of washing machines & dryers in the background don’t bother you, then you’re in for a culinary treat. The menu is limited but features most of the popular thai dishes like curries, pad thai & fried rice. My first trip there I ordered the chicken green curry which was just the right amount of spicy along with chicken shu mai which I had assumed were packaged dumplings but discovered upon taste they were homemade & flavorful. Their curry puffs stuffed with chicken & potatoes were light & full of flavor, reminding me a little bit of indian samosas. The chicken pad thai had noodles that were lighter than I expected but had just the right amount of flavor and not greasy at all. Along with it I had some vegetable dumplings which while they tasted good, were pretty unremarkable. I hope they add more items to the menu. At this rate this restaurant is gonna make me forget about chinese takeout. If you’re in the Harlem area, try it out & let me know what you think. 754 St. Nicholas Ave at 148th St.
It’s creeping up, slowly. A lot of new restaurants coming into the ‘hood now. That is SO Harlem…(and maybe a tad bit hood??). That pic just made me miss the hell out of the place. 😦 And also very hungry.